Hello Ladies~ Today I will talk about another popular western brand outside there. This time I'll talk about the famous Urban Decay. Not the Naked Palette *though I wish I can have one and review it on my blog in the future* but today I will review another famous product from UD called UD 24/7 glide on eye pencil. I have 2 colors for these pencils. 1 in travel size, 1 in real size. The first one is Bourbon, it is a medium brown color with shimmer. And the second one is Binge, it is like combination between navy blue and silver color. The texture of these pencils are very creamy. It can be blends easily so it is suitable for smokey makeup. 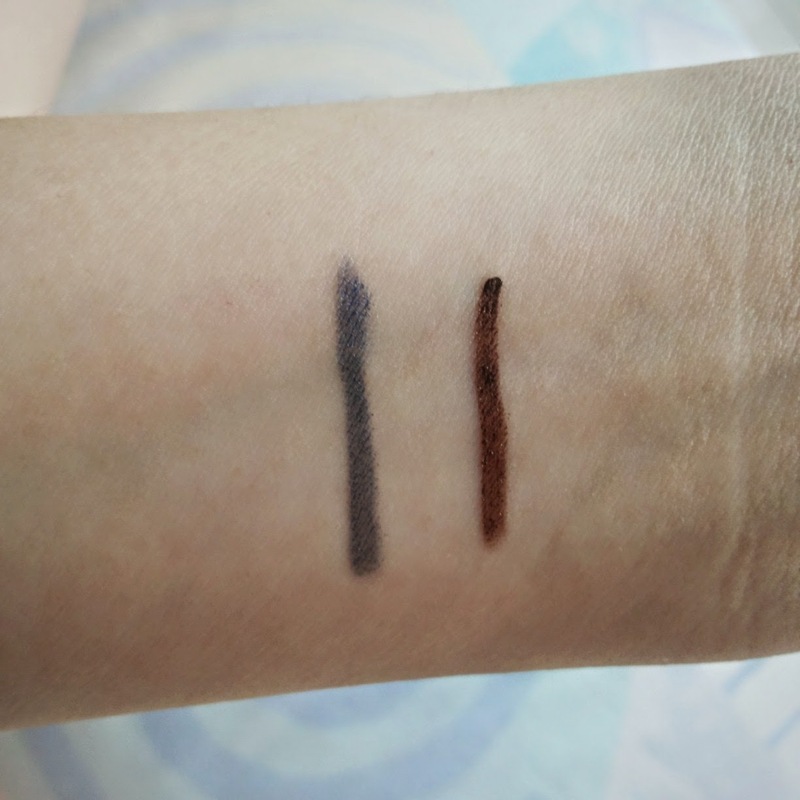 The pigmentation is really great and it is really really waterproof. Even when you rub it while it's still wet, it will stays perfectly on your eyes. This is not a mechanic pencil, so it is need to be sharpen once it dull. 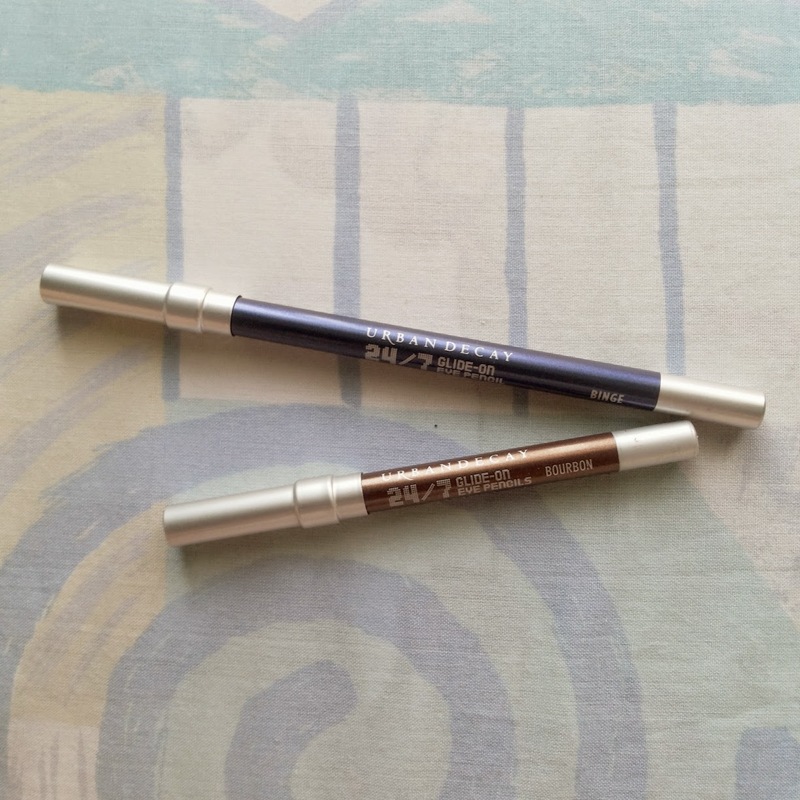 You can use this pencil as an eyeliner and you can also use it as an eyeshadow, Usually after I apply it on my eyes, I smudge it and blends it with powder eyeshadow. It works good and provide a nice color. 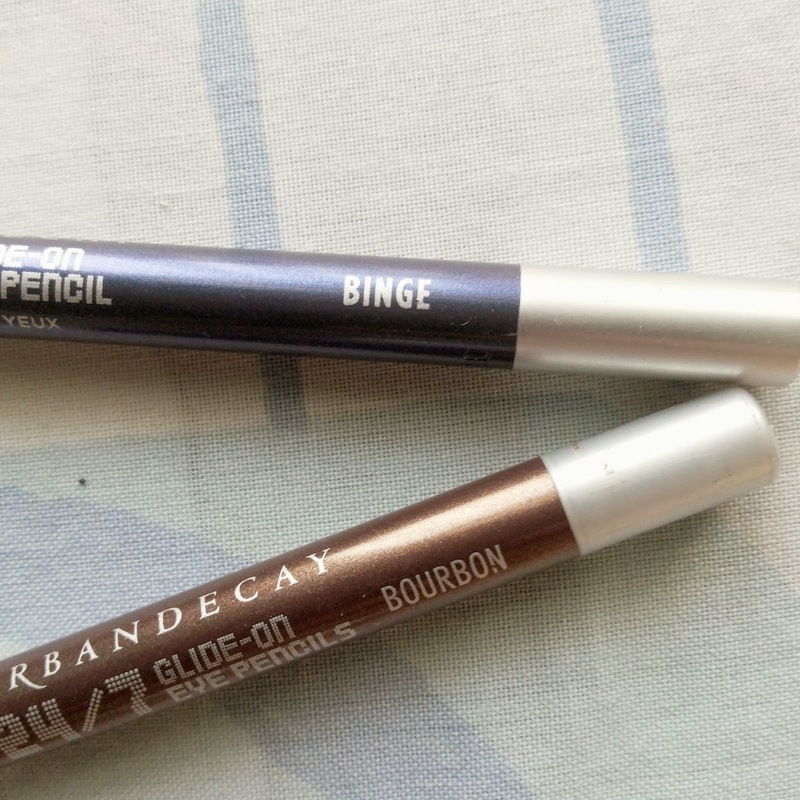 Here are my EOTD using these pencil~ Use it as an eyeshadow. Which one is your favourite? Blue eyes or Brown eyes? Hai aku mupeng yang travel siza beli dimanakah??? ooh i love both looks!! this is my favorite eyeliner! i have it in black and matte black and i love them both! theyre bold, pigmented and last all day! !